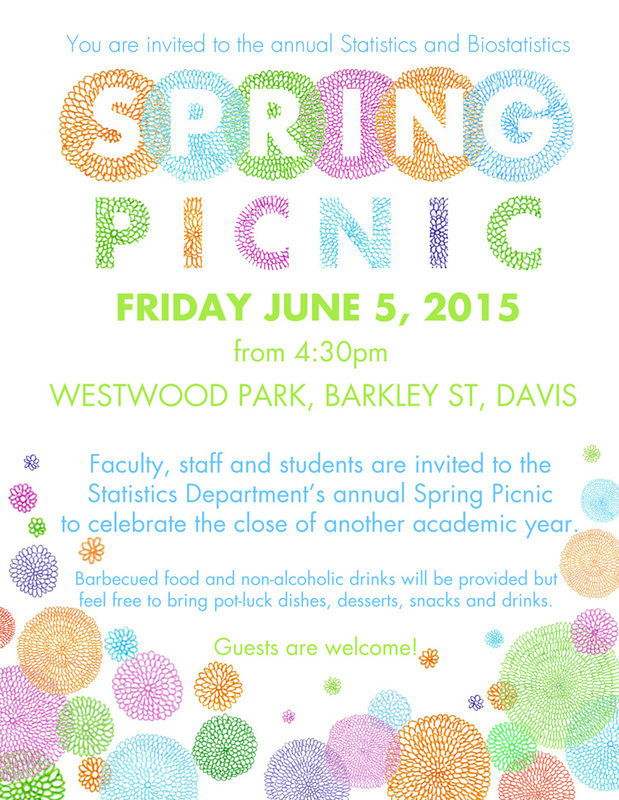 Faculty, staff and students are invited to the annual Statistics and Biostatistics SPRING PICNIC. to celebrate the close of another academic year. Barbecued food and non-alcoholic drinks will be provided but feel free to bring pot-luck dishes, desserts, snacks and drinks.